In January we heard about THQ’s studios and IPs being sold off at auction as the firm was dissolved following bankruptcy. Koch Media bought Volition, Inc. makers of the Saints Row series, among other things. 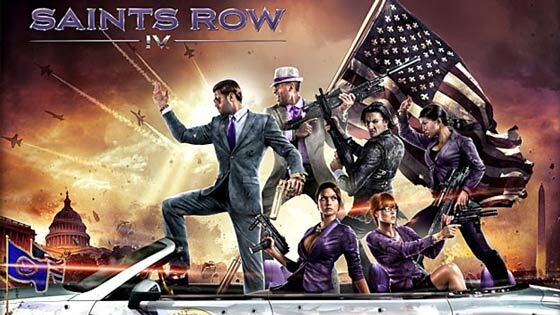 Now a new publisher Deep Silver, owned by Koch Media, has released a teaser video showing off some crazy gameplay footage from the “climactic chapter” of Saints Row. “In Saints Row IV, the head honcho of the Saints has been elected to the Presidency of the United States. But the Saints are just getting started. Now the larger-than-life insanity of the Saints series gets a new twist with a catastrophic alien invasion, and the aliens have transported the Saints to a bizarro-Steelport simulation. Wield gargantuan superpowers and fight to free humanity from alien granddaddy Zinyak’s mental grasp. Escape the simulation that’s trapped the Saints crew, or die trying." Please note that the release upon “current-gen consoles” doesn’t include any of Nintendo’s machines. Also there was no word about versions of the game coming to the upcoming Sony and Microsoft consoles. However this is just teaser information and more details will be forthcoming on 22nd March when the game will be showcased at the PAX East gaming show in Boston. Just watched that trailer and my first thought was … SERIOUSLY!? Definitely worth a pre-order - question being whether to get on PC or XBox? ;) (Got SR3 on both - thanks to a Steam sale).